Some of our faves include Rumer Willis, who will be sashaying her way onto the dancefloor with partner Valentin Chmerkovskiy. 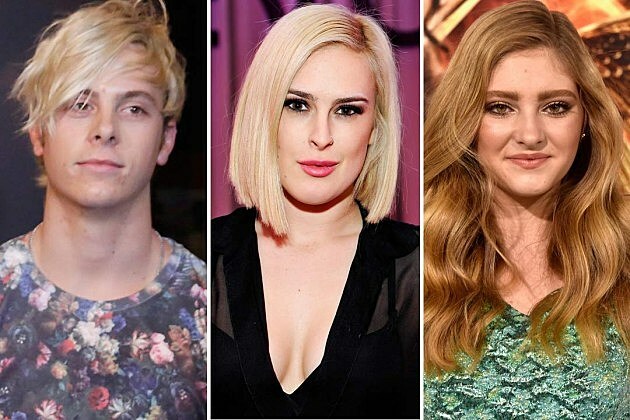 R5 singer-songwriter Riker Lynch will also be making his way to the ballroom, pairing up with Alison Holker — as will Hunger Games actress Willow Shields, who has partnered up with Mark Ballas. Legendary icon Patti LaBelle is set to tear up the dancefloor with Artem Chigvintsev, while Suzanne Somers (aka Chrissy from Three’s Company and Carol Lambert from Step by Step), will shake it off with Tony Dovolani. Olympic gymnast Nastia Liukin will follow in the footsteps of her fellow Team USA teammate Shawn Johnson by competing on DWTS, pairing up with Derek Hough, who’s back in the ballroom this season. Other contestants include “Party Rock Anthem“ singer Redfoo, football star Michael Sam, Shark Tank genius Robert Herjavec, Charlotte McKinney (whose face you may remember from a certain sultry Super Bowl commercial) and Iraq war veteran Noah Galloway, who lost part of his arm and leg and will certainly be an inspiration as he twirls across the ballroom.